"At first when we looked at the replies from fans, a lot of them thought I was doing it on purpose to be funny," he told the outlet. "But people realized, after I got some results, that I am serious and I am doing it to survive on the Tour and cope with the competition." 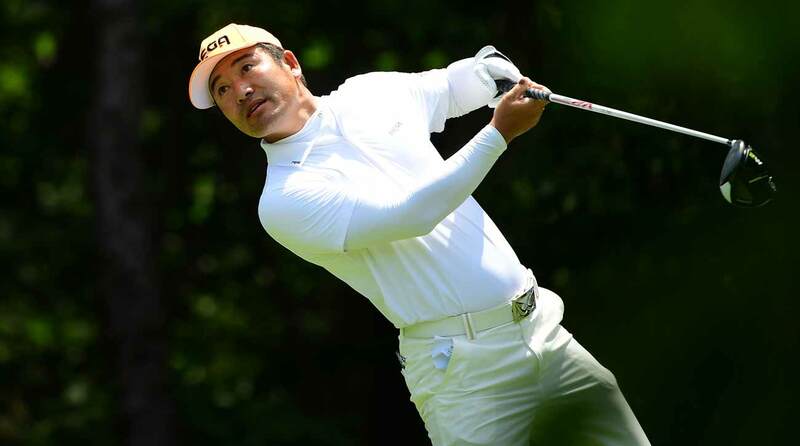 Hosung Choi sees room for creativity and variation in the golf swing. Choi pushed back against the notion that golf swings should match a particular convention; he sees room for creativity and variation. "It's not right to have everyone fit into a standard because everyone has a different body type and a different swing that works for them," he told the Straits Times. "No one has the right answer. There can be many." He also pointed out the specific reason for his post-contact pirouette. "I am not as flexible as the young guys, and I can't really turn my hips very well," he said. "This way, I get more power and have a lower chance of getting injured." Choi's game has shot him into the top 200 in the world ranking. That, combined with his swing and newfound fame have landed him one particularly remarkable trip next month: to Pebble Beach, where he'll play in his first PGA Tour event thanks to a sponsor's exemption. That's a long way from the unlikely beginnings of his golf career. GOLF.com's Alan Bastable detailed Choi's complete journey last year, which began in a small Korean town and included a series of part-time jobs in construction, mining, and delivering groceries. He worked at a tuna factory as well, where he lost the tip of his thumb in a freak chainsaw accident. As for his swing? GOLF's instruction editor, Luke Kerr-Dineen, points out in this frame-by-frame breakdown that it's fundamentally sound. It's the followthrough and the showmanship - intentional or not - that sets him apart. "If that makes him feel better, then dance away," Kerr-Dineen writes. "It doesn’t affect his swing negatively, and the results obviously speak for themselves."